Miss Fake It 'Til You Make It: How to Recreate the Perfect Blow-Out at Home? How to Recreate the Perfect Blow-Out at Home? 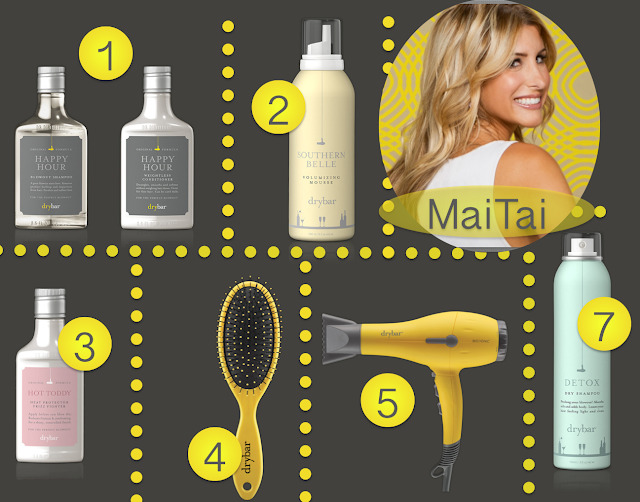 Spring’s most stylist accessory is the perfect blowout. It is an instant pick-me-up to transform a dull, winter woman into a perfectly polished spring savant - without a painstaking (or expensive) makeover. 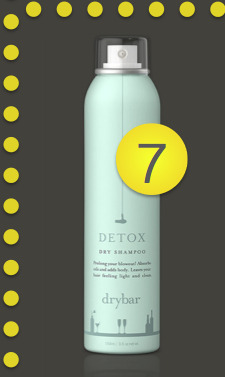 Whether you have time to be pampered by a hairstylist, or are pressed for time, Drybar has you covered. To prove a perfect blow-out is doable in your bathroom, we will walk you through the new collection of mane must-haves to give you the inside look at how to recreate Drybar’s signature MaiTai style – a messy, beachy look – at home. 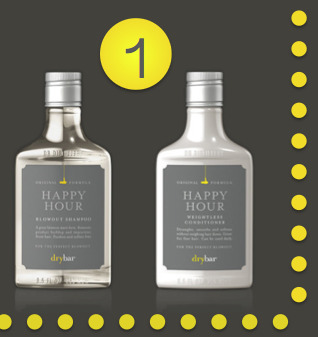 Step #1: Remember dirty, oily hair does not blow out well, so remember to start by cleaning your hair with the brand’s eponymous HAPPY HOUR Blowout Shampoo and Weightless Conditioner. This ultralight formula won’t weigh your roots or ends down. The shampoo removes product buildup, residue and impurities and relies on natural cleansing properties to protect colored hair. The gentle conditioner provides instant and easy detangling to avoid damage from excessive combing and helps prevent dryness associated with split ends and rugged cuticles. Step #2: Next preempt the heat with HOT TODDY a heat protector and frizz fighter that creates a breathable, protective barrier against heat. This miracle elixir helps maintain natural sheen and strength by sealing the ends to naturally enhance shine and promote bounce. 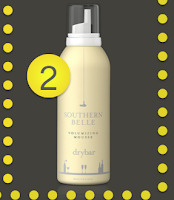 Step #3: Add a pump of SOUTHERN BELLE Volumizing Mousse for flexible, long-lasting volume. This featherlight, velvety formula wraps each hair strand to create tons of never stiff, crunchy or heavy volume. Start at the mid-shaft and run through the strand to the tip. 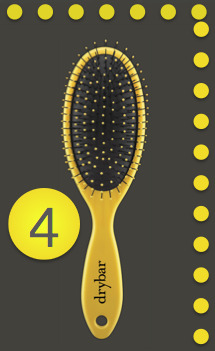 Step #4: Brush through with the LEMON DROP Flat Brush – this is the ultimate detangler for wet and dry hair. It works hard without breaking delicate strands to evenly distribute the product through your hair. Step #5: Always start in the front – it is the most important part and what people see first. Section the other parts out of the way, then rough dry using the super powerful BUTTERCUP Blow dryer. 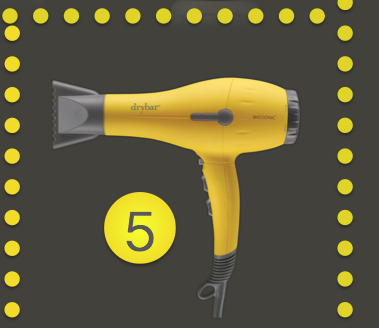 This ultimate blow-dry tool uses ion-technology to smooth, strengthen and nourish hair. Step #6: Once you’ve taken out most of the moisture, use a round brush with lots of tension to straighten out your bangs. Then, section off the rest of the hair in small manageable 1-2” sections. Hold the brush vertically and blow away form your face. Work your way around to the back, making sure each section is completely dry before moving on to the next section. Flexible Hold Hairspray for a workable yet long-lasting hold that keep the MaiTai in place all day.